Micro loop hair extensions are a method of strand by strand fusion that utilizes small attachment rings, without the use of heat or glue. Applying micro loop extensions requires precision and a set of professional extensions tools. Micro loop extensions are 100% human hair and can therefore be styled and cared for just like natural hair. One application of micro loop extensions can last up to eight months with proper care and maintenance. Part clean, dry hair that is free of product. Separate a horseshoe-shaped section that encompasses the bangs and crown and secure with a duckbill clip. Create a vertical part on each side of the head, from the tip of the ear to the crown section. Comb hair forward and clip in front of ears. Part remaining loose hair horizontally across the rear of the head, halfway between the crown and nape. Pin the upper section out of the way with duckbill clips. Separate 1/2 inch at the nape of the neck and comb flat. Separate a 1/2 inch row of hair, which will be the base for the first row of extensions. Clip the upper part of the section with duckbill clips. Insert the hooking device through the micro loop on the hair extension strand. Hold approximately 15 strands of hair between the thumb and forefinger of one hand and insert the strands into the tip of the hooking device. Slide the micro loop extension up the stem of the hooking device and onto the hair strands, positioning the loop 1/4 inch away from the scalp. In a slow, smooth motion, pull the hooking device away from the hair strands. Place pinchers of the clamping tool around the micro loop and squeeze firmly to secure the extension to the natural hair. Repeat extension application through the rest of the row, leaving 1/2 inch on the perimeter hairline for blending. Release the lowest section of hair and separate another 1/2 inch of base hair on which to apply the micro loop extensions. Repeat parting and application throughout the rear of the head, until the crown section is reached. Release and comb side parts. Apply micro loop extensions evenly but sparingly throughout this area. In the case of hair that is already longer than six inches, the side parts may not need additional extensions. Release the crown section of hair. Comb hair evenly and trim the extensions to blend with the natural hair. Choose micro loop extensions in a color and texture or curl pattern that best matches the natural hair. Micro loop extensions can be used sparingly to add highlights or accent pieces. Do not apply micro loop extensions to brittle or thinning hair. Only apply micro loop extensions to clean, dry hair. Chemical processes must be done at least two weeks before applying micro loop hair extensions. 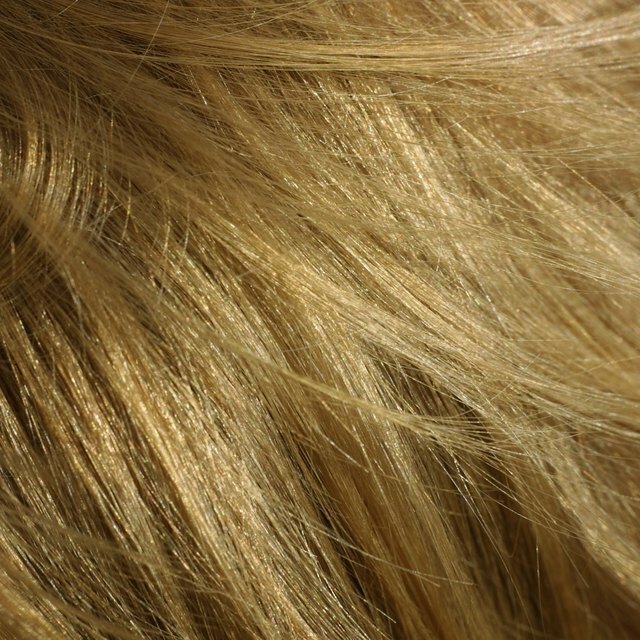 Chemical processes like hair color or relaxers cannot be applied on hair that has micro loop extensions installed.